To purchase this book Find it here! This book is about a little girl growing up with two mothers. The little girl describes a typical day with her family and all of the daily activities and fun adventures her mothers do together. Just because your family is a little different doesn't mean you can't have fun! This book shows knowledge and self-love of having a family that is not the "norm" in society. The little girl in the story is still able to do everything any other family would with her mothers. It is a great starter book for children beginning to learn that families come in all different shapes and sizes but the most important thing is the love and fun you have together. I would use this book when teaching a unit about families to teach students there is no "normal" when it comes to families. 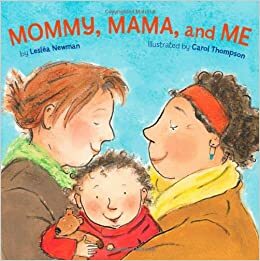 After introducing and reading the book to students I would have them describe their own families. The class would then take a look at all the different types of families that exist and what they all have in common. I would then breakdown what the most important things to have in a family, i.e. love, caring about each other, and having fun.